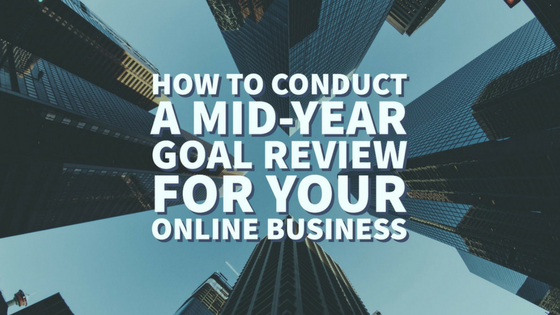 How To Conduct A Mid-Year Goal Review For Your Online Business | BMT Micro, Inc. When was the last time you looked at the business goals or resolutions you set at the start of the year? How are you progressing towards them? It’s easy to get caught up in the day-to-day hustle of running an online business and lose sight of your goals or get off track. But, you shouldn’t wait until the end of the year to assess your performance and identify ways to improve. Now that we’re halfway through the year, it is an excellent time to conduct a mid-year review to reassess the goals you set for your business. A mid-year goal review will help your business save time and money by evaluating what’s working, what’s not, and how you can operate more efficiently in the long run. Business goals and objectives clarify the purpose of the business and help identify necessary actions to achieve desired results. Many organizations use the SMART goal model to help ensure their goals are strategic and clearly defined. Goals can involve a variety of different areas such as profitability, growth and customer service. If you don’t have a business plan with goals outlined, or if your plan hasn’t been updated in awhile, now is the time to start writing one or updating your existing one. It will help you focus on long-term business objectives and the steps needed to accomplish them. A lot can happen in six months and sometimes the goals you set in the past aren’t aligned with where your business is headed. What’s working well right now, and what isn’t? Six months should be enough time to identify if you have made progress on goals, or need to scratch out some completely and start over. It’s a good idea to review both your business plan and the goals you set for yourself at the beginning of the year so they stay updated with your strategy. There is a good chance you may need to tweak things slightly, so take the time to make updates now. Which goals have you met? What went well? What did you do that contributed to the success? Which goals are on their way to being met? Are these goals still relevant for your business plan? Which goals have you yet to address? Are there any new business priorities to convert in goals? What goals did you hope to achieve but didn’t quite get to? What did you do or did you not do that contributed? Once you have established your business goals, you need to define some actions points. Set mini objectives at various intervals to keep you on track to achieve your larger goals. Identify what needs to be done and assign it, either to yourself or someone else. For example, let’s say you want to increase sales by 40%. How would you make that happen? You could hire an exceptional salesperson, offer a special discounted item on social media, or invest in pay-per-click advertising. Ultimately, each of these actions could lead you toward your goal of increasing sales. Conducting a mid-year goal review takes effort and time. But, it can help you stay ahead of the curve and make the most of the remainder of the year. So, take some time to see where you are, redefine, and create new business goals if needed. A mid-year goal review also gives you an opportunity to review your current relationships with partners or anyone your business is working with. For an online business, having the right E-commerce partner can be an enormous help when you are looking to create a solid strategy for your online sales. Here at BMT Micro, Inc., we offer a full-service e-commerce solution that will meet all of your business requirements. Our proprietary systems have everything you need to sell your game or software online. If you would like to learn more about our services or if you have questions, please feel free to contact our vendor services via email at vendors@bmtmicro.com or visit our website at www.bmtmicro.com.